See the magnificent Khmer temples of Angkor, the capital Phnom Penh, the wonder of the world Halong Bay and the historic Hanoi Capital. This tour also bring you to the ancient town of Hoi an, a favorite destination on the list of any traveler, and the bustling Saigon. Upon arriving in Phnom Penh, your guide will meet and transfer you to your hotel. In the afternoon, you will explore the rich history and waterways of the capital. Visit the opulent Royal Place, home to Cambodia’s Royal family, and the National Museum, with its superb collection of Khmer art. End the day with a delicious Khmer welcome dinner at Romdeng. Enjoy dinner at a charity restaurant housed in a restored colonial building where former street children are taught the principles of hospitality. In the morning, visit the notorious Choeung Ek Killing Fields 15km southwest of Phnom Penh. This one is the site of brutal executions of more than 17,000 individuals, most of whom first suffered through interrogations, torture and deprivation in Toul Sleng Prison during Pol Pot regime (From 1975–1979). Continue your visit to Tuol Sleng Genocide Museum (S21 prison). This prison was a high school, and used as a prison by Pol Pot’s security forces and became the largest center for detention and torture during the rule of the Khmer Rouge. In the afternoon, visit Wat Phnom – the most famous buddhist temple in Phnom Penh. It was built in 1373, and stands 27 metres above the ground. It is the tallest religious structure in the city. The pagoda was given the name of Wat Preah Chedey Borapaut. Continue your visit to Russian Market (Psah Toul Tom Poung), a lively outdoor market where you will find antiquities, silver and gold jewelry, gems, silk, kramas, stone and wood carvings, as well as T-Shirts, CDs and other souvenirs. Then, we end our tour at the Victory Monument. This Vann Molyvann-designed reddish-brown coloured edifice was built in 1958 to celebrate independence from the French and as a memorial to Cambodia’s war dead. Back to your hotel. The following destination of our trip is Kangpong Thom. Along the way we make a stop at Phnom Pros and Phnom Srei, two hills whose names were translated as the “man hill” and the “woman hill”. Then continue the road to Kampong Thom. After checking into hotel we visit some nearby villages and climb 980 steps to the top of Phnom Santuk for an impressive sunset view over the surrounding areas. Sambor Prei Kuk, 30 km north of town, is a jungle-enclosed temple complex that receives very few tourists due to its remote location. 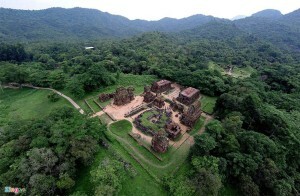 However, a visit to these Pre-Angkorian ruins should not be missed. As you travel through the ruins on bike and foot, you will be awe-struck at the melding of architecture and nature, as the brick structures here blend seemlessly with the nature surrounding them. You will have the chance to visit and contribute to the sustainability of the people’s livelihood as the local community will prepare a simple but tasty lunch for you near the temples. Continue towards Siem Reap (3h). On arrival, check in to the hotel and enjoy the remainder of the afternoon at leisure. In the afternoon, visit Angkor Wat the most famous of all the temples on the plain of Angkor. 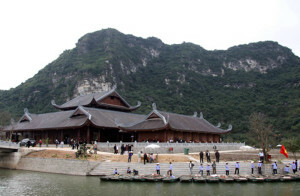 The temple complex covers 81 hectares and is comparable in size to the Imperial Palace in Beijing. Its distinctive five towers are emblazoned on the Cambodian flag and the 12th century masterpiece is considered by art historians to be the prime example of classical Khmer art and architecture. Continue to view a wonderful sunset from the Top of Phnom Bakhen Hill. Visit Ta Prohm, one of the most beautiful temples in Angkor. Ta Prohm has been relatively untouched since it was discovered and retains much of its mystery. Neak Pean, a fountain built in the middle of a pool (representing the paradisiacal Himalayan mountain-lake), Ta Som, built in late 12th century C.E. the most distant temple on the grand circuit, small but classic. Continue your visit to Preah Khan temple, built by the King Jayavarman VII. Preah Khan is, like Ta Prohm, a place of towered enclosures and shoulder hugging corridors. However, the temple of Preah Khan is in a reasonable state of preservation and ongoing restoration efforts should maintain and even improve this situation. 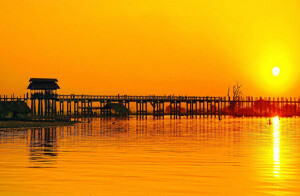 In the Afternoon, take a boat trip for sight-seeing on Tonle Sap Lake, the Great Lake of Cambodia. It is one of the largest lakes in Asia. Here, enjoy a brief cruise past floating villages complete with schools, restaurants, and hospitals. After breakfast, you will be transferred to the quiet Beng Mealea (1 h drive). Enjoy a short walk through the dense jungle and discover the wonders of an overgrown temple, Beng Mealea, which lay undiscovered for centuries. From here, travel to the “gem” of the Angkor area, the pretty temple of Banteay Srey. The so-called “Citadel of the Women” displays some of the finest examples of classical Khmer art. Morning, spend your leisure time in Siem Reap, relaxation or go shopping. 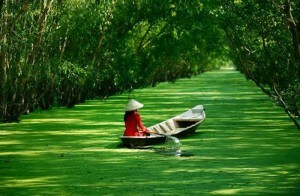 Afternoon, our drive picks you up at hotel and transfer you to airport for flight to Hanoi. Upon arrival, transfer to hotel in Hanoi. 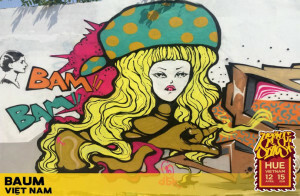 Today you have a full day to explore Vietnam’s charming capital. With its wide tree-lined boulevards, French colonial architecture, peaceful lakes and ancient oriental pagodas. In the morning, we start the tour by visiting Ho Chi Minh Mausoleum and Ho Chi Minh Museum. Enjoy the architectural and historical aspects of Uncle Ho’s final resting-palace. Continue walking into the compound you will see Ho Chi Minh’s house on stilts where he used to live in the past. Beside the Mausoleum is One Pillar Pagoda, built by King Ly Thai To in 1049 the structure has become an important symbol of the Hanoian. Continue visiting with the Temple of Literature (Quoc Tu Giam) – The first Vietnam’s University constructed in 1070. Its gardens and well-preserved architecture offer a relaxing glimpse into Vietnam’s past. Have lunch at a local restaurant. Then proceed to visit the Vietnam Museum of Ethnology. After that we will drive you back to city centre to visit Hoan Kiem Lake with peaceful water known as the lake of returned sword under Le Loi Empire and visit Ngoc Son Temple located on a beautiful islet within the lake. Then touring around the city by one hour cyclo driving in the bustling old quarter to see the ordinary life in Hanoi. Around 18.00, your private tour guide and driver drop you back to the hotel. Have dinner and take you time to discover Hanoi’s night life. 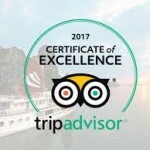 Around 8.00am, our private tour guide and driver pick you up at your hotel and drive you to the UNESCO World Heritage site: Halong Bay on a shuttle bus. Taking a rest at Humanity center after 2 hours driving, we enjoy some local specialties. Arrival in Halong bay boat pier at 11.45am. The captain and crew welcome you on board. Savor the delicious lunch while the boat is sailing through thousands of islands and islets with different shapes. After having a delicious lunch, we explore the biggest and the most amazing cave in Halong Bay – Surprise Cave (Sung Sot Cave). Which a nature wonderland composed of jutting limestone island and a parking turquoise water. Then kayaking for an hour around the fishing village and discovering the life of community who live on floating houses on Halong bay. Then we get back to boat for Sunset Party, get to calm, clean water place for swimming. Enjoy delicious and romantic dinner with some barbecue courses. At night, take your free time for entertainment with the funny plays such as squid fishing, karaoke program, star watching on sundeck… Spend romantic night on board beneath the night sky. Stay overnight on board in Halong Bay. Early morning, simply relax and enjoy the sunrise over the bay’s towering islands, breakfast, fruits, coffee and tea are served on board. Cruise further and stop-over at a pearl farm to sea real peace cultivated by local fisherman. 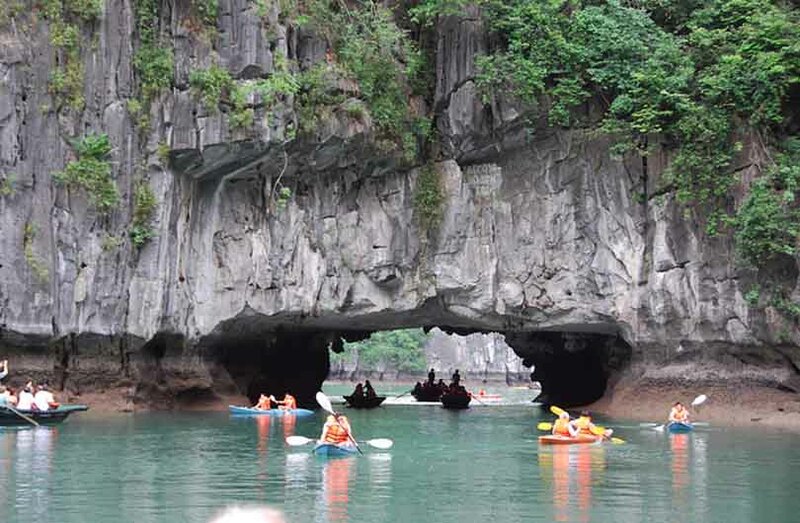 After that, we keep cruising further to many islands and islets to discover the hidden charm of Halong bay. Now, it is a time to join a cooking class opened right on the cruise for all the people are interested in cooking, especially to cook Vietnamese food. Lunch is served on board while returning Ha long pier. Say goodbye to the crew and disembark. Hub on our bus for going back to Hanoi. Arrival in Hanoi around 4.30pm. Enjoy your breakfast at hotel in Hanoi. Feel free to relax in your own way before being transferred to airport for your departure flight.